Pocket Watches were mounted on some type of metal plate. These plates were fitted with various mechanisms, gears, pinions, and the like by way of screw and other small fittings made of rubies, garnet, or metal. So when the movement is dismantled you are left with holes all around the inside and outside of the circular unit. Most of the plates that I work with are steel and engraved. The holes are around 20 gauge - 24 gauge and are small or big enough to fit wire or perhaps even the occasional needle and thread through. 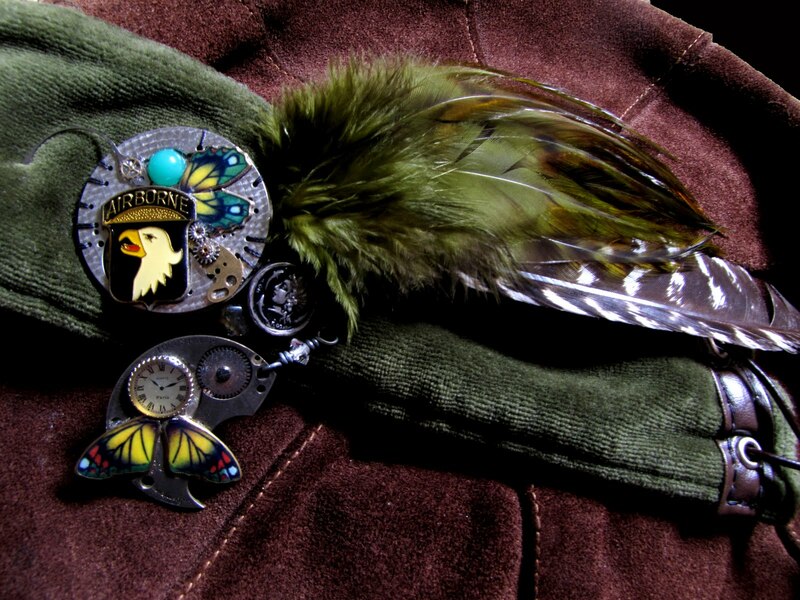 Sewn, soldered, or glued, they can be used as buttons or any such adornment. The above picture is a type of hat belt/corset/sash if you will. The hat is vintage leather and was my grandfathers.